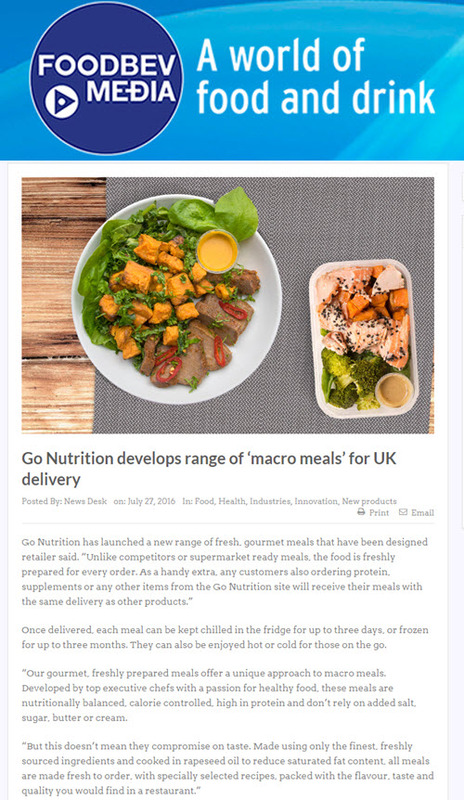 Our awesome client www.GoNutrition.com have just launched a new range of freshly prepared gourmet macro meals aimed at helping busy professionals and those with a hectic life keep on top of their nutrition and healthy lifestyles. 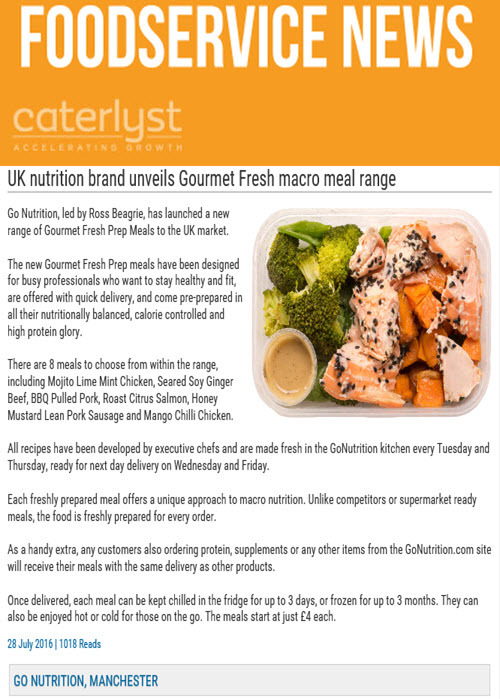 There are currently 8 different meals to choose from, including Mojito Lime Mint Chicken, Seared Soy Ginger Beef, BBQ Pulled Pork, Roast Citrus Salmon, Honey Mustard Lean Pork Sausage and Mango Chilli Chicken. Check out some initial trade coverage secured for the launch so far! 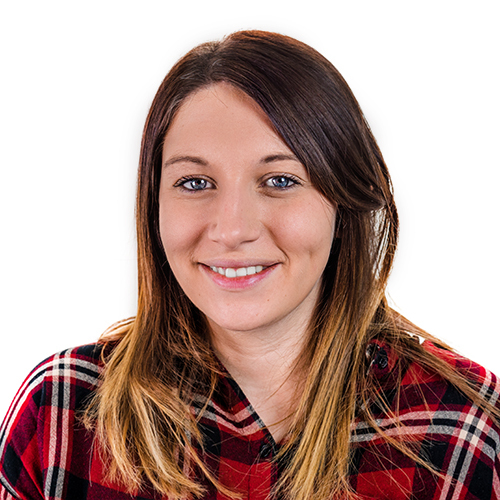 I have worked at 10 Yetis for the past four years since graduating University with a degree in Public Relations. I love being a Yeti, the friends I have made, and the fact that no two days are ever the same. Clients I have achieved some of my best work for include Confused.com, Optical Express, holidaycottages.co.uk, UK Paintball and ShagAtUni.com.